After 10 straight months of declining visitor numbers in the aftermath of the Mandalay Bay shooting tragedy in October last year, Sin City is finally on the rebound with the Las Vegas Convention and Visitors Authority (LVCVA) announcing the first, however meager, year-on-year gains. 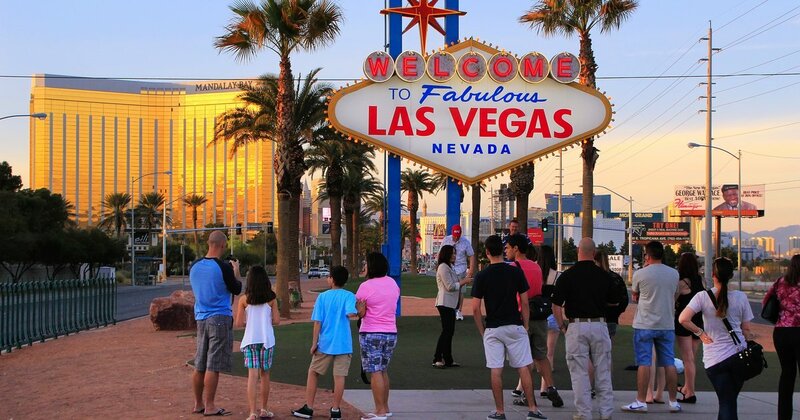 The LVCVA announced a year-on-year rise of 0.1% in total visitor numbers for April, as 3.548 million people visited Southern Nevada’s casino, convention and leisure facilities, making April 2018 the city’s busiest April on record. The last year-on-year gain was seen back in May 2017, when total visitors numbering 3.6 million offered 0.3% growth over 2016. The growth figures, however modest, come as good news to the city’s casino resorts industry, who have been struggling to pull back in visitors after a lone shooter at the Mandalay Bay hotel opened fire on concert goers at the Route 91 Harvest festival across the street. The shooter, later identified as 64-year-old Stephen Paddock, a former auditor and real estate investor from Mesquite, Nevada, 80 miles northeast of Las Vegas, killed 58 people and wounded 851 others before taking his own life, in what would turn out to be the deadliest mass shooting incident in US history. Fortunately for Las Vegas, enhanced security measures combined with national yearly convention rotation have finally broken the 10-month losing streak. Convention attendance was strong with the LVCVA reporting 563,000 convention goers in April, an increase of a solid 11.5%. The uptick in convention goers was largely attributed to the rotation of three major trade shows back to Las Vegas. Of the three, Waste Expo brought in the largest number of convention goers at 12,000, followed by the National Indian Gaming Association convention which drew 8,600 attendees and CinemaCon, which brought in an additional 8,100 people. City wide occupancy rates of 91% also showed minor growth, up 0.3% year-on-year. Weekend occupancy rates were up 0.5%, while total Strip occupancy was down 0.1%. Clark County gambling revenues were also up 3.6% year-on-year for April to draw down $3,494,471,000. Las Vegas Strip gambling revenues saw the greatest increase, to come in 3.7% up year-on-year, with downtown gambling revenues rising a lean 0.8%. 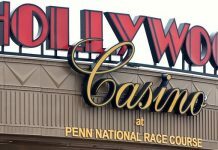 State wide gambling revenues were also up 7.7% year-on-year for April according to the state Gambling Control Board, with total profit for the month in at $953.7 million. While April was the first month this year when statewide gambling profits failed to make the $1 billion mark, 17 of the 19 markets the Gambling Control Board oversees posted gains with only Wendover and Reno listing declines of less than 1%. With only two months left in the 2017-2018 fiscal year, statewide revenues for the period were up 2.9% to come in at $9.84 billion. 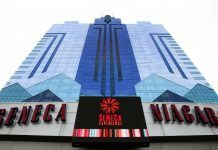 Slots continued to pull down the loin’s share of the cash, with penny slots and multidenominational machines accounting for some $111.6 million in profit, an increase of 12.6% over April last year. 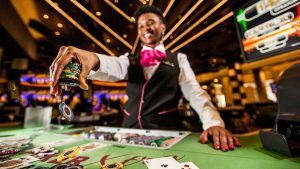 Blackjack raked up $72.4 million in April profit on 1,250 tables, and the city’s 321 baccarat tabled chalked up $63.2 million in profit to post a 17.6% year-on-year rise.